The Hospitality Industry Club keeps on growing continuously. We are happy to introduce you to our club members coming to your town as well. The Hospitality Industry Club – club member line-up! 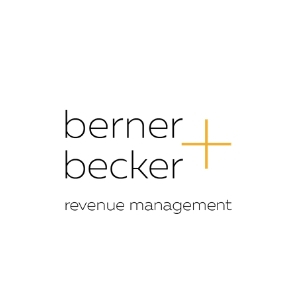 berner+becker offers tailor-made revenue management solutions for hotels. The company specializes in outsourced revenue management and in close cooperation with the hotel team handles the complete day-to-day revenue management for their clients. Further berner+becker offers revenue management consulting and training for independent and chain affiliated hotels. The enterprise originated out of the believe of the two founders that every hotel should have access to professional revenue management. Their services are performed by qualified and experienced revenue management professionals, always striving to deliver a positive impact on bottom line results. conichi is one app for all hotels, providing them with an innovative solution that brings digitalization into hotels to reduce time, enable personalisation, enhance efficiency and reduce workload for employees while simultaneously catering to the needs of the digital travel generation. Big-data, personalization and smart-analytics are combined to optimize the guest experience and explore new levels of guest loyalty, ultimately creating a personalized and completely seamless hotel experience. Founded in 2009 in Berlin, thousands of independent and chain hotels worldwide work with Customer Alliance’s 90+ employees to manage and improve their online reputations and increase revenue. Within one industry-leading solution hotels collect, distribute, and analyze their guest reviews from across the web, giving them a competitive insight into their hotel’s performance. Hotels can now better understand their guests and boost their revenue. D-EDGE is the result of the merger of two traditional providers of digital hospitality solutions, cloud-based e-commerce solutions for more than 11,000 hotels in over 100 countries. By combining Availpro’s technical excellence with Fastbooking’s digital marketing expertise, D-EDGE brings together a complete hospitality technology infrastructure under one roof. The integrated solution covers all levels of hotel distribution that extend: Central reservation system, data intelligence, connectivity hub, digital media and website creation. Channel manager, booking engine, widgets & more: DIRS21 is your web-based system for direct booking and channel management, opening up the whole world of electronic distribution. We have been providing powerful solutions for hotels and the tourism industry for over 20 years. More than 5.200 hotels and hosts are currently using DIRS21 – making it the leading distribution management system in Germany, Austria and Switzerland. DIRS21 lets visions for the digital future of the hotel industry become reality. Direct booking for your website, central administration of booking channels or the usage of further distribution tools. DIRS21 offers a wide range of products and services optimizing online distribution for the hospitality industry. Guestnet is a guest information system for hotels and destinations. It supports the guest throughout their vacation by providing relevant information about the hotel and its surroundings. This happens via a variety of communication channels such as a wifi landing page, info screens, room TV or automatically generated print-documents. Guestnet enables hotels and destinations to capitalize on additional turnover potentials and to achieve cost savings by optimizing information processes. Guestnet counts over 450 customers. Until now, managing sales offers was a labor-intensive and painful process. From accepting the inquiry, checking rates & availability, creating offers, converting them to pdf, writing e-mails, attaching the document, and finally sending it. We are revolutionizing the entire path, from customer request to payment, – and everything else in between. ho[s]teloffer.online is a sales proposal software, that gives your sales team the competitive edge. Hotelchamp was founded to boost direct bookings and build guest relationships. Now the trusted solution for over 1,500 hotels in more than 45 countries, Hotelchamp offers the leading marketing platform for the hotel industry, giving hoteliers the techniques and technology to improve their guest experience online and boost direct bookings. Hoteliers.com was founded in 2005 with the aim to help hotels generate more direct bookings. The services of Hoteliers.com consist of three pillars: e-commerce products, distribution channels and marketing services, which work closely together to help hotels achieve the best results from their online strategy. Hoteliers.com offers the convenience of a single point of contact and it’s personal service is rated excellent by hoteliers throughout Europe. HQ plus offers a precise overview of the most important distribution channels to revenue managers and hoteliers for both individual and larger hotel chains. The software, developed by HQ plus, combines all relevant data into a user-friendly interface. This enables a timely response to market changes and thus significantly contributes to the sales and earning improvement of each house. HQ plus is Europe‘s current market leader with circa 2,000 customers. The company, founded in Berlin in 2012, currently has 24 employees. Mews Systems uses technology to provide hoteliers with the tools to offer personalised guest experiences in a digital world. The Mews Commander Property Management System was built to suit the needs of modern hotels. Founded by ex-hoteliers who were frustrated by the lack of suitable platform on the market, Mews Systems focused heavily on building a modern, intuitive user interface with user experience at the core. With time saving features, including online check-in and real-time housekeeping, Mews provides hotels with the tools to save more, sell more and provide their guests with a modern, personalised experience. Net Affinity empower hoteliers to take control of their direct business. We provide the technology and services they need to deliver results that will simplify their lives, all on one direct booking platform. Our team of creative experts have been leading the field in hotel technology since 2000. We know that ultimately, for hotels, direct is best. Our suite of modern products including our booking engine and website builder are all built with conversion and ease of use in mind. Our brilliantly passionate team are also dedicated to always servicing clients to the best of their abilities, so at the end of the day, the lives of hoteliers are made simpler. RoomRaccoon is the most complete hotel reservation software. Let’s start with the Property Management System, Channel Manager and Booking Engine in one. We’ll save you hours of time and lots of commission. On top of that, we’ve got endless features. Create invoices, housekeeping- and breakfast lists in the backend. With the integrated email marketing system you’ll keep in touch with your guests. And trough our Channel Manager there wil be no more overbooking. RoomRaccoon wil make your life as a hotelier or B&B owner a lot more comfortable by saving time, stress and gaining more revenue. Shift planning made easy! With this in mind, we have developed and distribute ShiftJuggler, a cloud-based software for shift planning, timekeeping and holiday management designed for the hotel industry. With the software, all the important information – including hours worked, time limits and qualifications – are brought together in one place. You can even include your occupancy numbers from your reservation program, meaning you can create your roster based on needs, in no time and with all the relevant information in front of you. SHS is more of a young consulting firm with a focus on revenue management, online distribution and digital marketing. Anyone looking for the usual frills – long lines, expensive consulting processes, endless meetings – will not be happy with us. We are a small, creative and terribly friendly core team of networkers, strategists and masters in our field. Depending on the project and the challenge, we put together a powerful and hungry team from our constantly growing network. What are the benefits? Fresh ideas, passion, hot wires, speed and above all results! The SnapShot Marketplace is a fully-integrated ecosystem that allows hotels to pick and choose the applications that they need to effectively run their business as well as test out new applications and share data from any application to hotel staffers via Fabric, SnapShot`s hotel messaging tool. The platform provides hotels with one integrated and completely customizable software stack. Plus, SnapShot`s API allows hotels, developers and data partners easy, secure and transparently managed access to transactional data so that they can build and connect new software as needed. SuitePad provides mobile-device based communication solutions for the hospitality industry. Guest directory, spa brochure, newspapers, telephone and games are all combined on a single device, such as tablet PCs, smartphones, touchscreen TVs or lobby projectors. Since 2013, SuitePad’s solutions can be found in almost 500 hotels and in over 25,000 hotel rooms worldwide, setting new standards for guest communication and in-room entertainment during the hotel stay. Working with over 3,000 hotels worldwide, The Hotels Network offers clients a hotel tech ecosystem to boost website conversions and ADR. By adding a layer of tools to their website, brands can improve the user experience for guests and increase direct bookings. In addition to price comparison, reviews summary and a full suite of personalization options, the company’s latest product innovation, Oraculo, is the world’s first predictive algorithm for hotels. Toedt, Dr. Selk & Coll. (TS&C) is a leader in the field of holistic data management, or big data. With dailypoint™, a software solution mainly developed for the hospitality industry, TS&C caters to individual hotels as well as hotel groups. Established in 2005, TS&C focuses on data cleansing and data consolidation, to provide a central platform for real customer relationship management (CRM) in the areas of operations, marketing and analysis. tooly.tips is the marketplace specialized in the hospitality industry that can help you choosing the best technology for your needs. We collect software applications for all activities related to hotel management classified by departments and features. If you are involved in the hospitality sector, on our website you can search and find all the options, regardless of what kind of software you need. Whether a Booking Engine, a PMS or a Marketing Automation software, on tooly.tips you can find it!